Including the bearings with increased angle of action (with suffix B) and the bearings with steep angle (series 313) too. The development of the bearings sealed, having a clearance set, greased for the whole life time and performing a life time of 1 million kilometers is under way. Within the above size ranges the bearings in the enclosure are figuring in our recent production program. 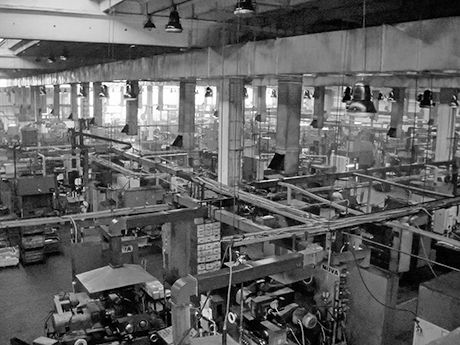 Of course the number of the manufactured product assortment is under permanent change, for the development of the new types according to the clients demands within the above size ranges - is continuous. The metric-sized ball and tapered roller bearings meet the accuracy requirements of ISO 492, the inch-sized tapered roller bearings meet the accuracy requirements of ISO 578. The material of the outer and the inner rings as well as that of the rolling elements is the generally used through-hardened roller bearing steel of 1% C and 1% Cr content (100 Cr 6 according to DIN 17230 and 52100 according to SAE J 405). Beyond the usual impurities the quantity of Ti and O2 has also been limited. The ball and the tapered roller bearings alike have been modernized in the interest of the increased load carrying capacity (increased number of the rolling elements). Both of the bearing groups have metal cage with the exception of the double row bearings greased for the whole life time, the cage material of the latter is Polyamide 6.6. The rolling surfaces of the tapered roller bearings are modified to avoid tension peaks. The mantle of the rollers has logarithmic profile. 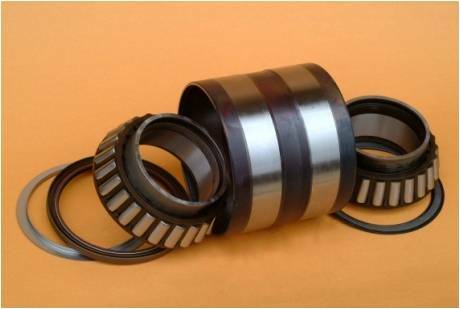 The condition of the contact between the shoulder of the inner rings and the roller ends in the tapered roller bearings can be improved further according to the wish of the clients in the interest of the decrease of the moment of friction, heat development and wear as well as in the interest of the increase of rigidity.These bearings are used for example for the bearing support of the gear box driving shafts. (E.g. with the extention X7JU). Our tapered roller bearings fulfil the criteria of interchangeability between cups and cones. The bearings can be delivered with versions P0 and P6X alike. Since the year 2007 New MGM Co. Ltd. is a part of URB Group. Copyright © 2017 New MGM Zrt.